The fact that most people stick with the default web browser that comes pre-installed on their computer or smartphone is not entirely unknown. This makes Google Chrome’s dominance in the desktop browser space that much more astonishing. 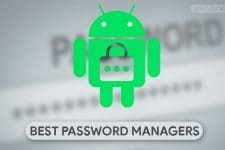 It also makes its dominance in the Android space that much less astonishing. 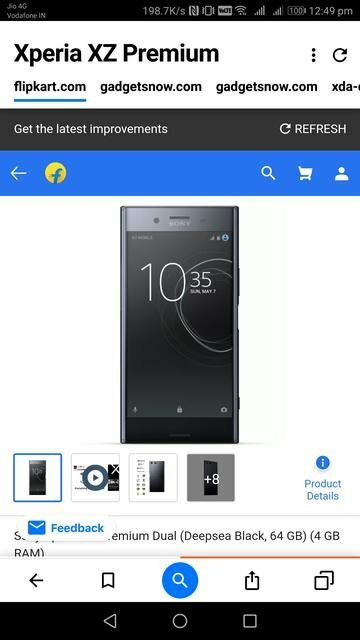 If you’re here though you have most probably tried other options on your Android. It wouldn’t surprise me if you still decided to stick with either Chrome or Firefox, even though there are in fact some arguably better browsers out there. 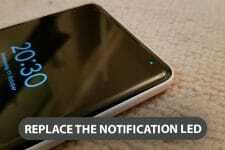 More and more are continuously added to the list and a browser app is hardly the next app you want to try. But Cake Web Browser, another new entry in this space, is definitely worth a try. 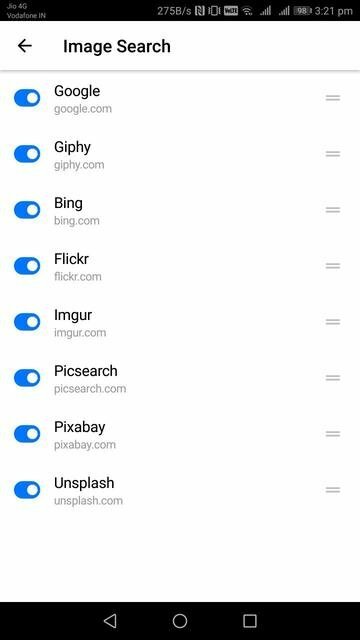 The sheer number of browsers available for smartphones would make any developer think twice about simply piling onto the list. But not this Utah-based startup called Cake because they think they have something different to offer. The startup has an ambitious aim of taking on established names such as Chrome, Firefox, Safari, and Opera. 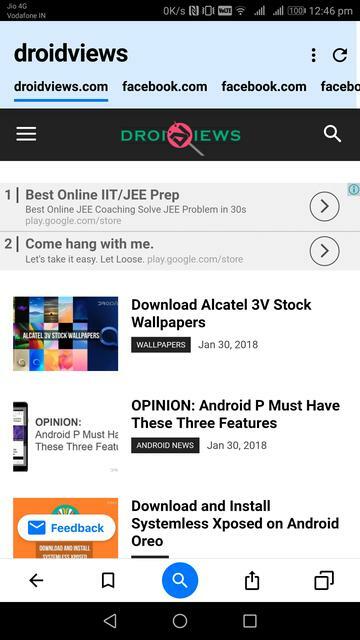 Their browser app, named Cake Web Browser is probably the first real attempt at a browser designed for phones. The startup has even managed to raise $5 million from Peak Ventures, Pelion Ventures, and Kickstart Seed Fund. Clearly, a lot of people are seeing a lot of potential here. 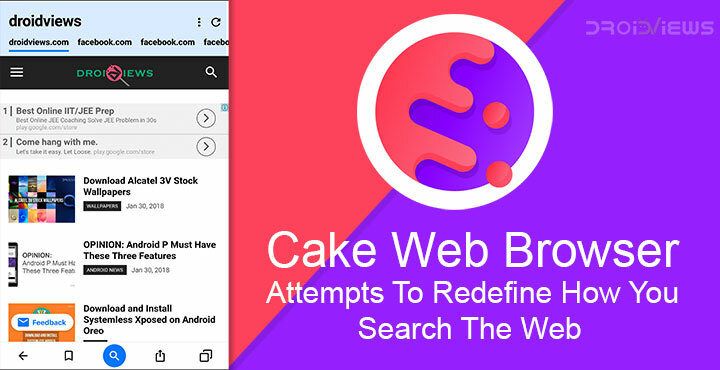 What’s different about Cake Web Browser? 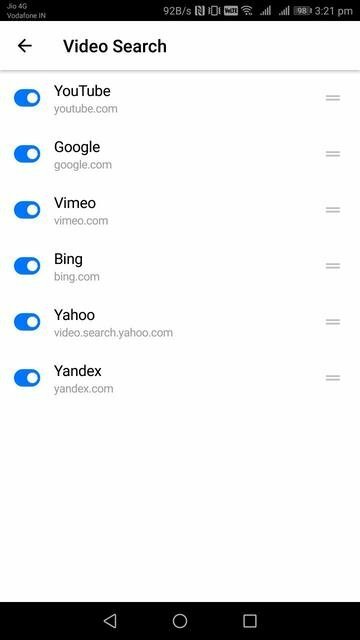 Every “mobile” browser you may have come across assumes that the way you browse on your PC is the way you can or should browse on your phone. You Google something and then keep on opening links until you find your desired webpage. Most of the times though, because Google is just so good, what you’re looking for is the very first search result. And Cake Web Browser assumes so too, so it directly shows you the webpage that is returned as the first result of a search, instead of showing you the search results. So what if the first result is not what you’re looking for? Simply swipe to the right and you can view the second result. Swipe again and you can see the third, and so on. Cake preloads the first three results so you don’t have to wait for the pages to load and swiping between them is more seamless. 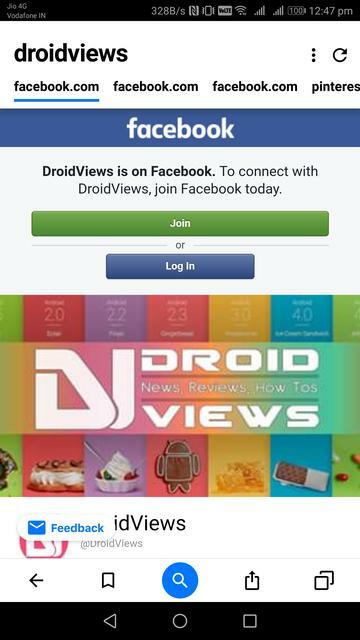 As you can see in the screenshots above, you just have to search for droidviews instead of typing the entire address and you’re here. Not only that, a swipe to the right takes you to our Facebook page. The usefulness of this style of web browsing increases multiple times when you’re looking for a product. 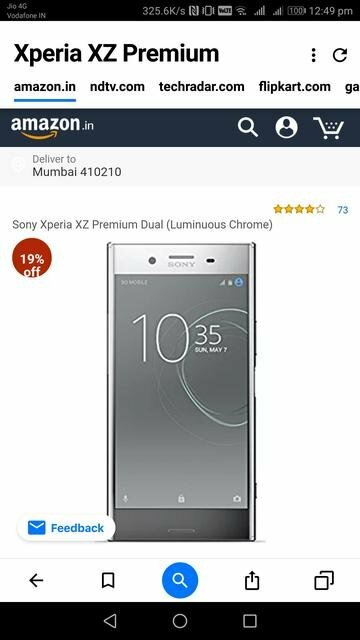 Search for it and you get to compare prices between different website, simply swipes away. Not only that, you can also read reviews from top websites as well as get all the specs from gsmarena. That is if you perform a normal search. 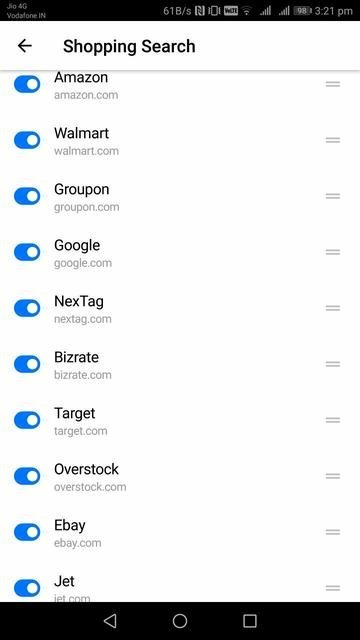 Cake Browser also offers dedicated product searches which show results from Google, Amazon, Walmart, Groupon, NexTag, Bizrate, Target, Overstock, eBay, and Jet. Similarly, you can search for videos on various websites as well as images. 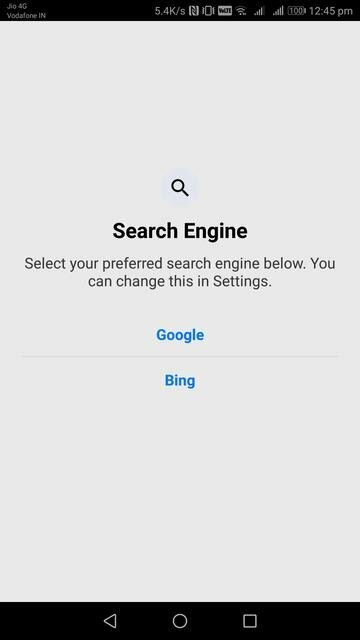 To change between the different kinds of searches, just tap the highlighted search icon in the middle or tap on the respective icon after typing your search query. 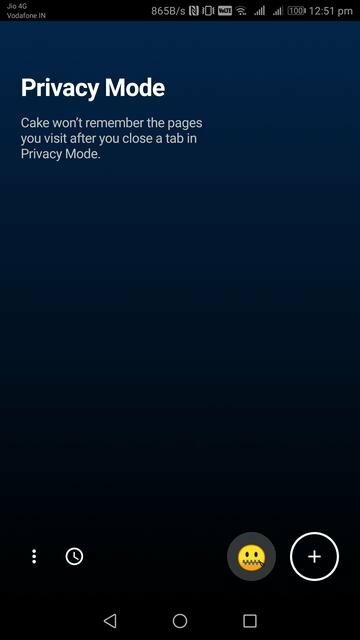 Yes, it does support tabs and even an incognito or private mode for those who need it. It’s a new project at a very nascent stage. What I mean to say is this is all there is and if you’re expecting advanced features you’re not going to like it. 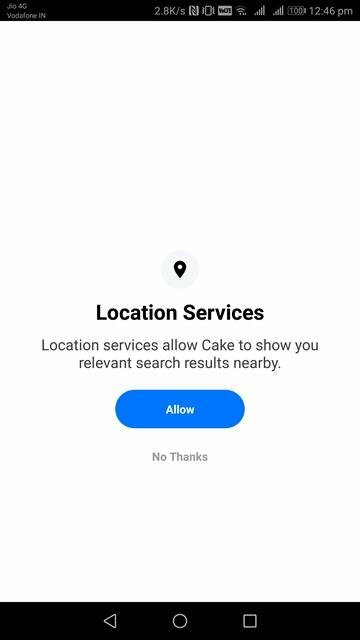 But Cake’s take on searches is something probably Google should have come up with first, and it wouldn’t surprise me if some big name like Google or Bing either copy or buy out the startup. It would also not surprise me if Cake fails to create the kind of user base it is aiming for, despite being intuitive and arguably better than any other mobile browser in terms of implementation. While I did not notice any performance issues, a quick look at the app’s Play Store page suggests that many users do. These are quirks that’ll probably be fixed rather quickly within a couple of updates. 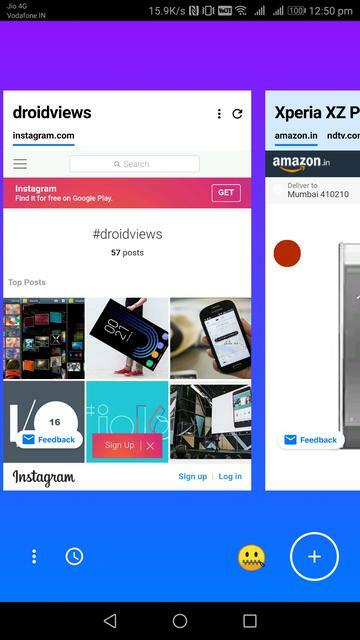 When you launch the app for the first time, it will ask you to choose between your preferred search engine. You can either select Bing (but why would you commit such a crime?) or Google. If you selected Bing accidentally don’t worry because you can. of course, change this later. 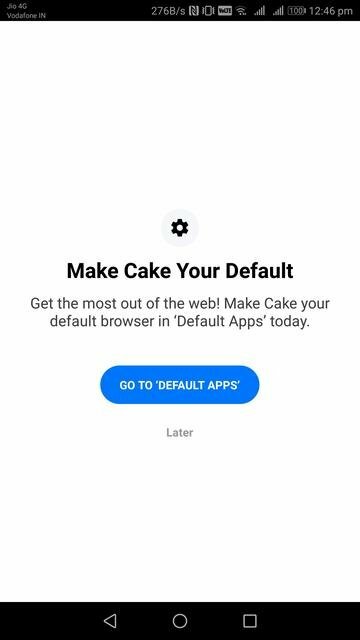 Enable or disable location services and make (or not) Cake your default browser and you’re already in the app. Do note that it may bugger you into making it the default browser a couple of times before giving up.